For the 1971 film, see Johnny Got His Gun (film). Not to be confused with Johnny Get Your Gun or Janie's Got a Gun. Johnny Got His Gun is an anti-war novel written in 1938 by American novelist, and later blacklisted screenwriter, Dalton Trumbo, and published in September 1939 by J. B. Lippincott. The novel won one of the early National Book Awards: the Most Original Book of 1939. A 1971 film adaptation was written for the screen and directed by Trumbo himself. James Dalton Trumbo was an American screenwriter and novelist who scripted many award-winning films including Roman Holiday, Exodus, Spartacus, and Thirty Seconds Over Tokyo. One of the Hollywood Ten, he refused to testify before the House Un-American Activities Committee (HUAC) in 1947 during the committee's investigation of Communist influences in the motion picture industry. He, along with the other members of the Hollywood Ten and hundreds of other industry professionals, was subsequently blacklisted by that industry. Lippincott Williams & Wilkins (LWW) is an imprint of the publishing conglomerate Wolters Kluwer. Under the LWW brand, Wolters Kluwer publishes scientific, technical, and medical content such as textbooks, reference works, and over 275 scientific journals. Publications are aimed at physicians, nurses, clinicians, and students. 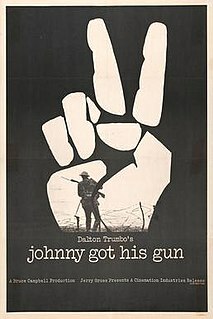 Johnny Got His Gun is a 1971 American drama anti-war film written and directed by Dalton Trumbo based on his novel of the same name, and starring Timothy Bottoms, Kathy Fields, Marsha Hunt, Jason Robards, Donald Sutherland and Diane Varsi. It was based on the novel of the same title by Trumbo, and features an uncredited writing collaboration by Luis Buñuel. The film was released on DVD in the U.S on April 28, 2009 via Shout! Factory, with special features. Joe Bonham, a young American soldier serving in World War I, awakens in a hospital bed after being caught in the blast of an exploding artillery shell. He gradually realizes that he has lost his arms, legs, and all of his face (including his eyes, ears, teeth, and tongue), but that his mind functions perfectly, leaving him a prisoner in his own body. Locked-in syndrome (LIS), also known as pseudocoma, is a condition in which a patient is aware but cannot move or communicate verbally due to complete paralysis of nearly all voluntary muscles in the body except for vertical eye movements and blinking. The individual is conscious and sufficiently intact cognitively to be able to communicate with eye movements. The EEG is normal in locked-in syndrome. Total locked-in syndrome, or completely locked-in state (CLIS), is a version of locked-in syndrome wherein the eyes are paralyzed as well. Fred Plum and Jerome Posner coined the term for this disorder in 1966. Joe attempts suicide by suffocation, but finds that he had been given a tracheotomy that he can neither remove nor control. At first Joe wishes to die, but he later decides that he desires to be placed in a glass box and toured around the country in order to show others the true horrors of war. Joe successfully communicates these desires with military officials after months and months of banging his head on his pillow in Morse code. However, he realizes that the military will not grant his wishes, as it is "against regulations". It is implied that he will live the rest of his natural life in his condition. Tracheotomy, or tracheostomy, is a surgical procedure which consists of making an incision (cut) on the anterior aspect of the neck and opening a direct airway through an incision in the trachea (windpipe). 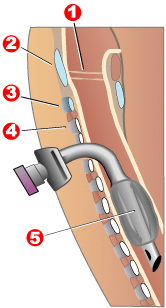 The resulting stoma (hole) can serve independently as an airway or as a site for a tracheal tube or tracheostomy tube to be inserted; this tube allows a person to breathe without the use of the nose or mouth. Morse code is a character encoding scheme used in telecommunication that encodes text characters as standardized sequences of two different signal durations called dots and dashes or dits and dahs. Morse code is named for Samuel F. B. Morse, an inventor of the telegraph. As Joe drifts between reality and fantasy, he remembers his old life with his family and girlfriend, and reflects upon the myths and realities of war. Fantasy in a psychological sense refers to two different possible aspects of the mind, the conscious, and the unconscious. Myth is a folklore genre consisting of narratives or stories that play a fundamental role in a society, such as foundational tales or origin myths. The main characters in myths are usually gods, demigods or supernatural humans. Stories of everyday human beings, although often of leaders of some type, are usually contained in legends, as opposed to myths. Sanity refers to the soundness, rationality and health of the human mind, as opposed to insanity. A person is sane if they are rational. In modern society, the term has become exclusively synonymous with compos mentis, in contrast with non compos mentis, or insane, meaning troubled conscience. A sane mind is nowadays considered healthy both from its analytical - once called rational - and emotional aspects. Furthermore, according to Chesterton, sanity involves wholeness, whereas insanity implies narrowness and brokenness. Humanism is a philosophical and ethical stance that emphasizes the value and agency of human beings, individually and collectively, and generally prefers critical thinking and evidence over acceptance of dogma or superstition. The meaning of the term humanism has fluctuated according to the successive intellectual movements which have identified with it. The term was coined by theologian Friedrich Niethammer at the beginning of the 19th century to refer to a system of education based on the study of classical literature. Generally, however, humanism refers to a perspective that affirms some notion of human freedom and progress. It views humans as solely responsible for the promotion and development of individuals and emphasizes a concern for man in relation to the world. Joe's mother, Marcia Bonham, was always close to Joe and Bill. She is referenced regularly in the book singing, cooking/baking and playing the piano often. 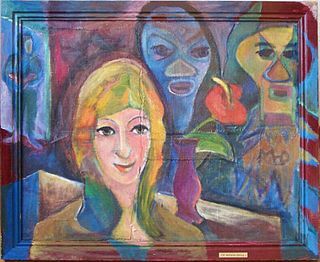 Kareen (who was aged 19 years at the time of Joe's departure) is mentioned throughout the book as Joe floats between reality and fantasy. She and Joe sleep together for the first time (chapter 3) the night before he leaves, with her father's approval. Diane is only mentioned in chapter 4. In that chapter it is mentioned that she cheated on Joe with a boy named Glen Hogan. She also cheats on Joe with his best friend, Bill Harper (who told him that she cheated with Hogan). Bill Harper warns Joe that Diane has cheated on him with Glen Hogan. Joe, who doesn't believe the news, hits Bill. Joe later finds out Bill was truthful and decides that he wants to renew their friendship. However, he finds Bill and Diane making out at her home and is hurt by both. 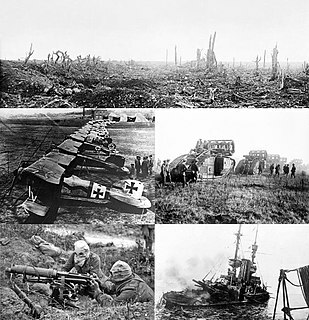 The end of chapter 4 references how Bill was killed at Belleau Wood. Joe meets Howie (chapter 4) after his troubles with Diane and Glen Hogan. It seems that Howie was never able to keep a girl in his life, and his girlfriend Onie also cheated on him with Glen Hogan. Joe and Howie decide not only to forget about their girlfriends but also about Glen Hogan. Joe and Howie join a group of Mexicans working on a railroad. However, once Howie receives an apologetic telegram from Onie, the boys decide to return home. José worked at a bakery with Joe. He was given the job at the bakery through the local homeless shelter. José has many stories that set him apart from the other homeless workers, including the fact that he refused marriage to a wealthy woman. José wanted to work in Hollywood. When the opportunity presented itself to work for a picture company, José purposely gets fired because he feels his own personal honor will not allow him to quit on the boss that gave him his original opportunity. The new day nurse was the first person to successfully communicate with Joe after his injuries. She moved her finger on his bare chest in the shape of the letter M until Joe signaled that he understood "M". She then spelled out "MERRY CHRISTMAS" and Joe signaled that he understood. The new day nurse then deduced that Joe's head-banging was in Morse Code and fetched someone who knew Morse Code. In 1971, Trumbo adapted for the screen and directed an eponymous film adaptation of the novel, starring Timothy Bottoms as Joe Bonham. Roman Holiday is a 1953 American romantic comedy film directed and produced by William Wyler. It stars Gregory Peck as a reporter and Audrey Hepburn as a royal princess out to see Rome on her own. Hepburn won an Academy Award for Best Actress for her performance; the screenplay and costume design also won. Night of the Aurochs is an unfinished novel by Dalton Trumbo, published posthumously in 1979. Benjamin McKenzie Schenkkan, is an American actor, writer and director. He portrayed Ryan Atwood in the television series The O.C. and Ben Sherman in Southland. He appeared in the films Junebug and 88 Minutes. His first starring role in a feature film was in the 2008 indie release Johnny Got His Gun. Since 2014, McKenzie has been starring as James Gordon in the television series Gotham, for which he also wrote and directed episodes. Timothy James Bottoms is an American actor and film producer. He is best known for playing the lead in Johnny Got His Gun, Sonny Crawford in The Last Picture Show where he and his fellow co-stars, Cybill Shepherd and Jeff Bridges, rose to fame; as James Hart, the first-year law student who battles with Prof. Kingsfield, in the film adaptation The Paper Chase, and for playing President George W. Bush multiple times, including on the sitcom That's My Bush! and in the comedy film The Crocodile Hunter: Collision Course and the docudrama DC 9/11: Time of Crisis. 2 of One is a video album by the American thrash metal band Metallica. It was released on June 6, 1989, through Elektra Entertainment and features two versions of the group's first music video "One", from its fourth studio album ...And Justice for All. The music video was directed by Bill Pope and Michael Salomon and was filmed in Los Angeles, California. "Over There" is a 1917 song written by George M. Cohan, that was popular with the United States military and public during both world wars. It was a patriotic song designed to galvanize American young men to enlist in the army and fight the "Hun". The song is best remembered for a line in its chorus: "The Yanks are coming." The Outsiders is a 1983 American coming-of-age drama film directed by Francis Ford Coppola, an adaptation of the 1967 novel of the same name by S. E. Hinton. The film was released on March 25, 1983. Jo Ellen Misakian, a librarian at Lone Star Elementary School in Fresno, California, and her students were responsible for inspiring Coppola to make the film. Arch Oboler was an American playwright, screenwriter, novelist, producer, and director who was active in radio, films, theater, and television. He generated much attention with his radio scripts, particularly the horror series Lights Out, and his work in radio remains the outstanding period of his career. Praised as one of broadcasting's top talents, he is regarded today as a key innovator of radio drama. Oboler's personality and ego were larger than life. Radio historian John Dunning wrote, "Few people were ambivalent when it came to Arch Oboler. He was one of those intense personalities who are liked and disliked with equal fire." The Last Sunset is a 1961 American Western film directed by Robert Aldrich and starring Rock Hudson, Kirk Douglas, and Dorothy Malone. The Horsemen is a 1971 Eastmancolor in a Panavision film starring Omar Sharif, directed by John Frankenheimer; screenplay by Dalton Trumbo. Based on a novel by French writer Joseph Kessel, Les Cavaliers shows Afghanistan and its people the way they were before the wars that wracked the country, particularly their love for the sport of buzkashi. The film was filmed in Afghanistan and Spain. Daniel Taradash was an American screenwriter. Ed Naha is an American science fiction and mystery writer and producer. He was born June 10, 1950 in the town of Linden, New Jersey. His first known publication was artwork that appeared in the first issue of Modern Monsters magazine, dated June 1966. Heaven with a Barbed Wire Fence is a 1939 drama film written by Dalton Trumbo, directed by Ricardo Cortez, and starring Glenn Ford. Jean Rogers and Ward Bond. The supporting cast features Marjorie Rambeau and Richard Conte. "Travolta" was the first single released by American experimental rock band Mr. Bungle. It was featured on their self-titled debut album. The Joe Bonham Project is named after the fictional limbless, faceless protagonist of Johnny Got His Gun, written by Dalton Trumbo in 1939 as an anti-war novel. Its purpose is to show the real face of war and the aftermath of war to the public with art that portrays the realities and human consequences of combat. Founded by war artist Michael D. Fay, the organisation holds exhibitions to introduce the public to artistic representations of war and the aftermath of war. Trumbo is a 2015 American biographical drama film directed by Jay Roach and written by John McNamara. The film stars Bryan Cranston, Diane Lane, Helen Mirren, Louis C.K., Elle Fanning, John Goodman, and Michael Stuhlbarg. The film follows the life of Hollywood screenwriter Dalton Trumbo, and is based on the biography Dalton Trumbo by Bruce Alexander Cook. Antonia Hirsch is an interdisciplinary artist who lives and works in Berlin. 1 2 3 Johnny Got His Gun, by Dalton Trumbo. Google . Retrieved 2009-05-02. ↑ "1939 Book Awards Given by Critics: Elgin Groseclose's 'Ararat' is Picked as Work Which Failed to Get Due Recognition". The New York Times . New York City: The New York Times Company. February 14, 1940. p. 25 – via ProQuest Historical Newspapers The New York Times (1851–2007). 1 2 3 "SparkNotes: Johnny Got His Gun: Analysis of Major Characters". SparkNotes.com. Retrieved 2009-08-07. ↑ "SparkNotes: Johnny Got His Gun: Themes, Motifs, and Symbols". SparkNotes.com. Retrieved 2009-08-07. ↑ "SparkNotes: Johnny Got His Gun: Context". SparkNotes.com. Retrieved 2009-08-07. ↑ de Fossard, Fred (March 2015). "A Triumph of Anti-War Literature". Spiked . London, England. Retrieved June 25, 2018. ↑ Trumbo, Dalton (1940). Johnny Got His Gun. New York City: Citadel Press. p. 5. ISBN 978-0553274325 . Retrieved December 30, 2014. ↑ Lendman, Stephen (November 12, 2015). "A Stunning Anti-War Polemic: "Johnny Got his Gun"". Global Research Council . Retrieved June 25, 2018. 1 2 3 "Johnny Got His Gun, the movie". johnnygothisgunthemovie.com. Retrieved December 30, 2014. ↑ "Johnny si vzal pušku [TV inscenace]". Filmová databáze. Retrieved November 3, 2018. ↑ Corwin, Joanna (2009). "Trapped in Myself: 'One' and the Mind-Body Problem". In Irwin, William. Metallica and Philosophy: A Crash Course in Brain Surgery. Hoboken, New Jersey: John Wiley & Sons. p. 180. ISBN 9781405182089. ↑ Johnny Got His Gun (DVD of the 1971 film ed.). USA: Shout! Factory. May 26, 2011 . Retrieved March 16, 2016.